APC opened Kinder 1 up to Daweg A (Grade 1). students have to stay in dalupaan1in Bendum and only go home during school breaks. chieftain directed this concern to Pedro Walpole. agreed to put up an APC extension school. The APC provided the teachers for Kinder 1 up to Daweg A (Grade 2). The community contributed by constructing a school building and toilet facilities made from light materials. 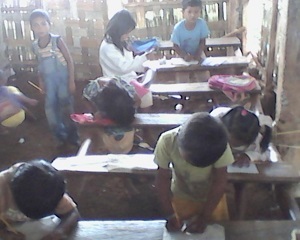 The school is catering to children of Pulangiyen, Higaonon, Adjawanen, Maasamnen, and other cultural groups. This not only redresses them the traveling to Bendum at an early age but both younger children and adolescence can also join classes at home. 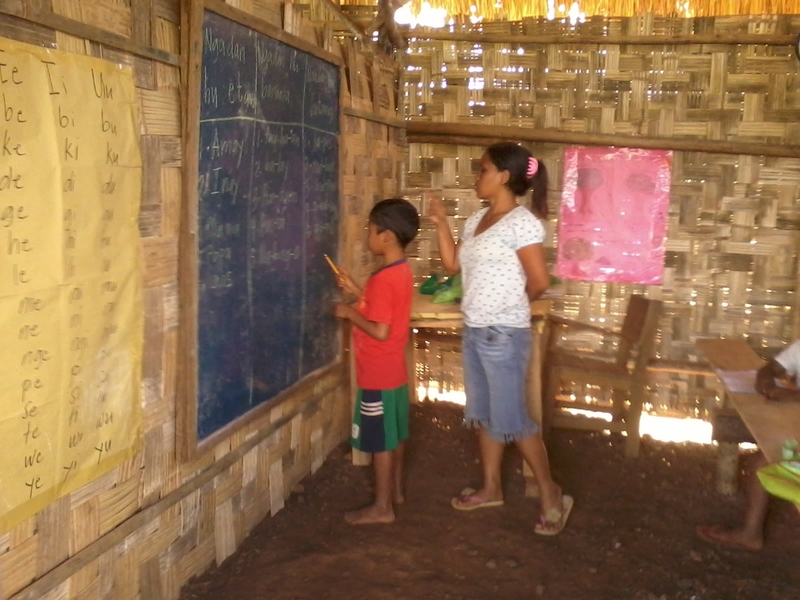 When the children finish Daweg A, they can opt to continue studying in Bendum or pursue other venues such as youth skills and formative training. visited, because the initiative and cooperation of the parents are greatly at work in the community. 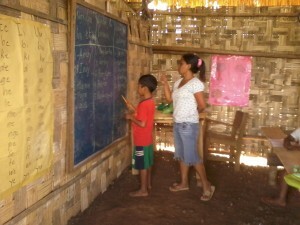 Like any remote area in the highlands, many valuable things still needs to be done in Kalasungay. The great value the community puts in education and the dreams they have for their children out‐weighs most of the challenges they face. They will continue to work for the education of their children and APC will be with them every step of the way.